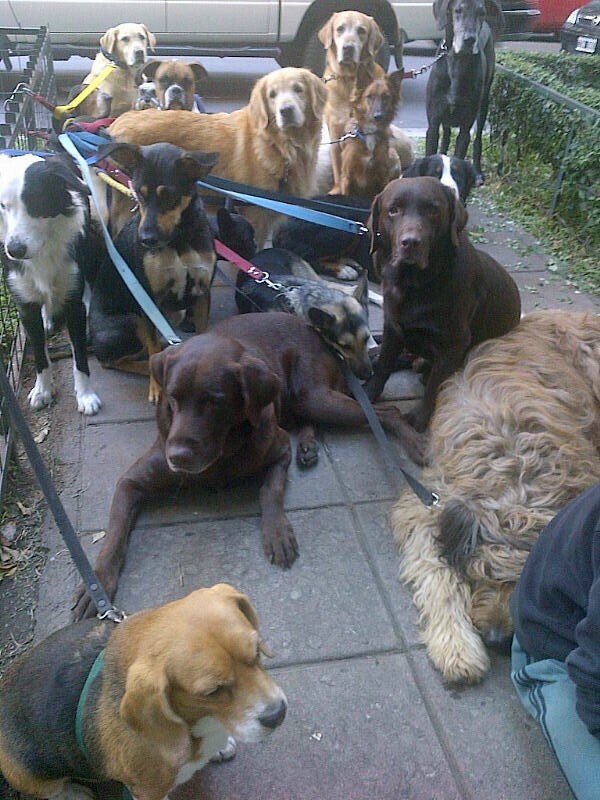 Here’s a photo of a professional dog walker taking a break on the street. My question… Do dogs like being walked in a group? Really? That’s your question? Because when I first saw this I thought it was a game of Where’s Waldo? Hint: Waldo is a miniature schnauzer. See him? Okay, good. Now where’s Pedro? While you’re working on that, let me answer your question with a question: What are you, crazy? Do these dogs look like they’re having fun? Is anybody smiling? As someone who lives in a foster home with six others, I have been walked with plenty of groups. Small groups are fine, sort of like a pack with leashes. And it’s always fun playing maypole with the walker. But you can have too much of anything (except treats). 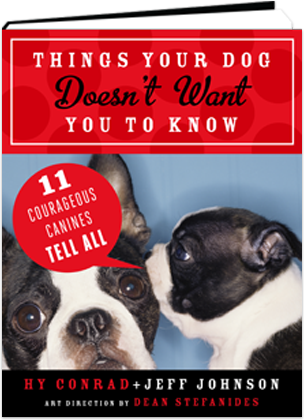 And frankly, to my mind, eighteen dogs sharing one sidewalk is too much. Yes, eighteen. I know it looks like seventeen. That’s because Pedro is completely hidden behind the basset hound. Pedro is very good at this game.